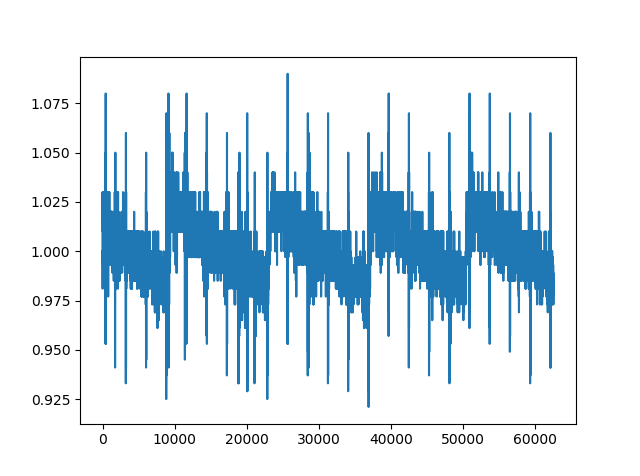 I have not used the mlab functions in matplotlib, but from what I can discern from your time plot, I see a pattern that repeats roughly every 15,000 samples, at 1.25 Gsps according to your code. This means we should see a strong spectral component at $1.25e9/15000=83.3$ KHz. The reason we do not see this, I suspect is the relatively short FFT length (or very high sampling rate compared to the spectral occupancy, or both!). Let me explain: The FFT length is currently 256 samples. At 1.25GHz this is only $256/1.25e9 = 204.8$ ns. 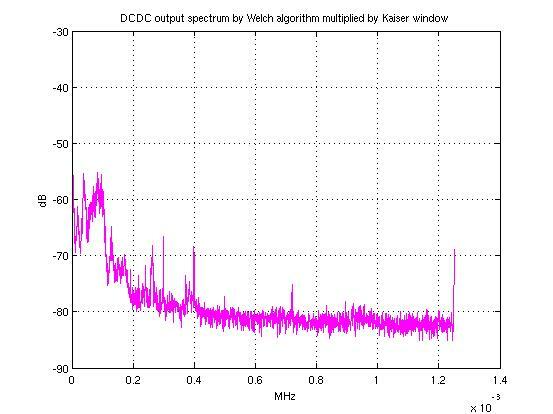 Looking at your plot, it looks like we see exactly this, which is the FFT bin of your strong DC component, and this single FFT bin is approximately 10MHz wide in bandwidth! So that is burying any signals of interest that you want to see. My recommendation is to increase the FFT length within what your processing will allow. And if that starts to get problematic then reduce the sampling rate to get further resolution (however there are challenges in doing that properly that I won't get into except to say that you must be sure higher frequency components are filtered out prior to resampling). Without requiring a sampling rate change, you would want to use an FFT length of at least $1.25e9/10e3$ = 125,000 to get 20 KHz of resolution BW while using the Hanning window. That's a reasonable length and I suspect you can go much higher than that for finer resolution. 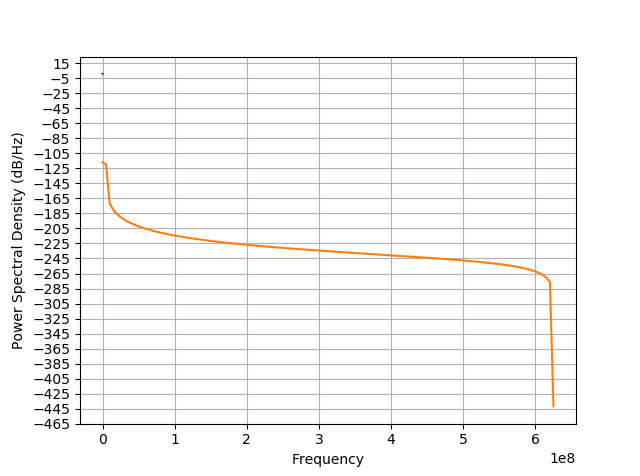 Also as a side note I don't see where the impedance is set, so I guess it is assumed to be normalized to 1 ohm. Just mentioning in case you cared about knowing the actual power levels. Not the answer you're looking for? Browse other questions tagged signal-analysis python power-spectral-density or ask your own question. Why would one use a Hann or Bartlett window? Is autospectrum the same as power spectrum density?